The IAP is the leading body for people in the software development industry. We represent members on various bodies (TSI, ICO etc) and campaign for better standards in the industry. We are also here for our members, offering advice where needed and giving members access to our events. We also support schools and colleges with information to prepare students moving through the education system. We believe the best way to get something out of the Institution is to put something in, and to this end we invite all members to take part in supporting and running of the organisation. This may be by writing articles, running regional meetings etc. If you would like our free weekly newsletter IAPetus which is a round up of the the news in the software development industry, please fill in the form alongside. We will also send you some additional information about the IAP and give you details on how you can join other professionals in the industry who are members of the IAP. 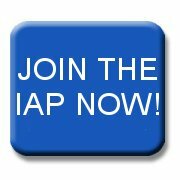 If you would already like the sound of joining other professionals like you then to join the IAP click the button below. If you are looking for more information about the IAP please fill in the form below and we will send you a brochure about the Institution. We are also happy to send you a link to our weekly newsletter IAPetus just as a thank you for taking the time to find out more about us. You have read out Data Privacy Statement and are give us consent to contact you from time to time in relation to your enquiry. Please enter the 4 letter code into box below.